Located in Lynnwood, WA, try Meadowdale Beach Trail! It’s free, in town, under 3 miles with beach access at the end. Can’t get much better than that! 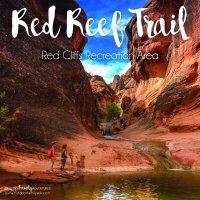 Lava Flow Trail in Snow Canyon State Park is a trail that the tweens will love and younger kids can do on their own. This trail brings you to lava tubes and caves! At the end, climb a sandstone mountain to enjoy an overlook of the park. 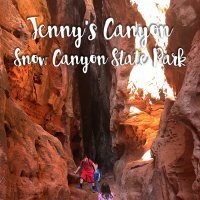 Johnson Canyon (aka Johnson Arch) is an easy 2.5 miles trail just outside Snow Canyon State Park. 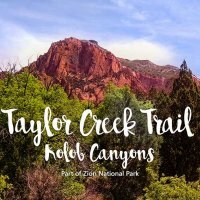 Fee-free with canyons, arches, water and more! 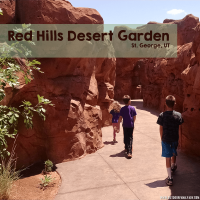 Temple Quarry Trail | St. George UT | Easy, kid-friendly trail in the heart of St. George. A quick and well-maintained 2.5 miles with lots of rocks to climb and a fun history lesson, too! 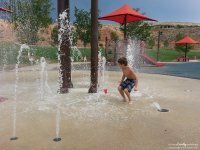 Riverside Walk is one of my favorite places to go in Zion where you can relax and let the kids have fun. No crazy ledges to worry about; just be and enjoy.